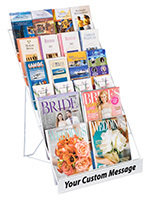 Countertop Stand is provided to customers at an amazing price! 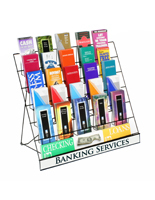 Wide range of items are able to be displayed using these holders. 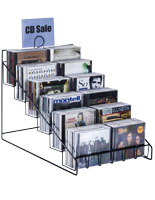 These wire displays are a useful way to save space and still present different types of items for purchase. 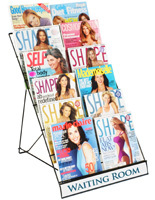 The countertop stands are most effective when placed on a cash wrap to grab the attention of shoppers. 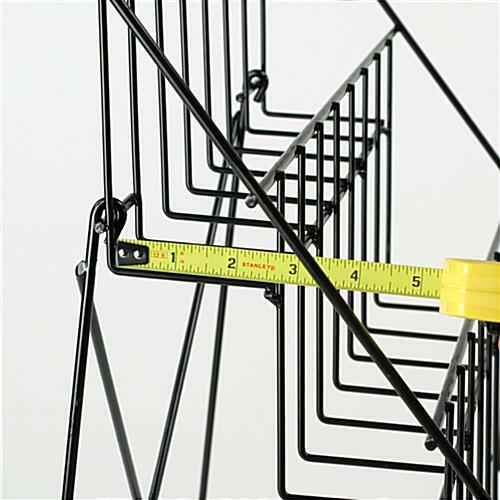 These wire racks are adaptable and can showcase any items that are able to be placed in their 2-1/2" deep pockets. 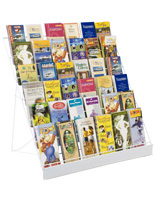 Greeting cards, brochures, magazines, candies and books are all perfect offerings for placement on this holder. 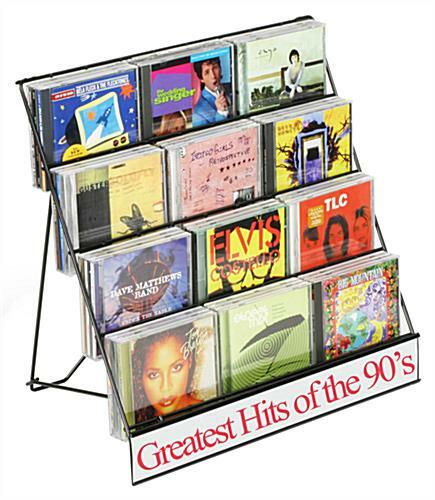 Wire displays can be used at gas stations to present items that are classic impulse buys or great sellers. 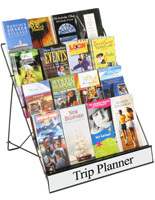 Grocery stores could use the metal holders to present selections around a holiday theme for purchase buy customers. The wire displays have 4 levels of rows with an open design to house many items. 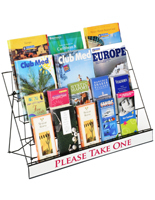 This countertop stand is most commonly seen used in grocery stores, book stores, souvenir shops, and other commercial settings. 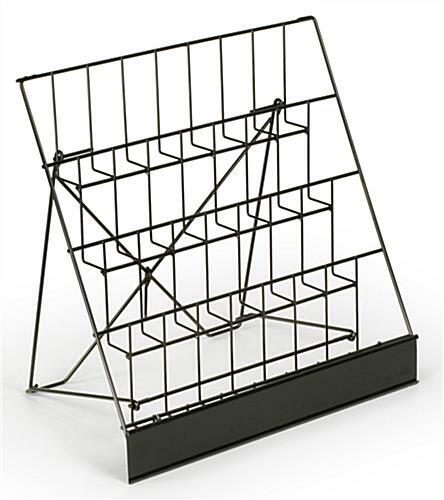 These wire displays, called tabletop racks, are constructed of durable, strong, black wire with a glossy finish. 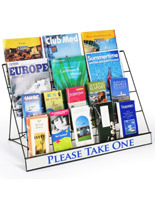 These countertop holders also have a special place for a message that is 18" wide x 2-1/2" high. The wire displays do not include a custom sign for that space. The inserted sign is shown only as a representation of what a custom sign would look like.